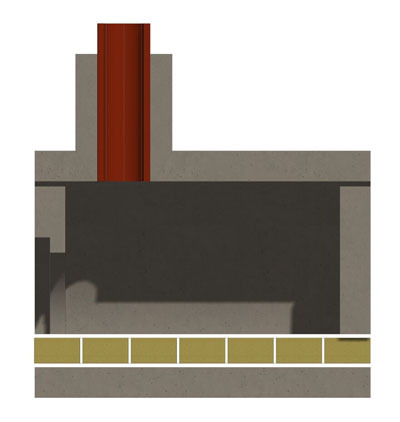 Stone Age produces a wider variety of wood-fired pizza ovens than any modular masonry kit manufacturer, and each model incorporates the common features of highest quality materials, superior design and performance, and simple construction shared by all Stone Age products. The wide range of options offers more choice and greater design flexibility, and all elements are tailored for seamless compatibility with the outdoor kitchens and fireplaces. Most importantly, Stone Age wood-fired pizza ovens and smokers help backyard chefs easily create delicious meals with the unique and wonderful flavor of cooking with real wood! The Mezzo™ Pizza Oven offers old world cooking in a traditional barrel shape design, with a medium-sized footprint and over 800 square inches of cooking surface that will deliver a lifetime of enjoyment in your outdoor kitchen. 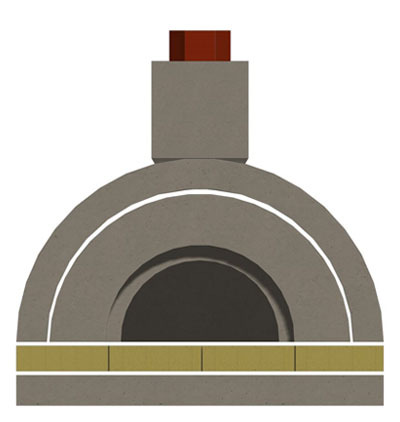 The Amerigo™ Pizza oven offers everything you need for old world pizza and much more. With more than 1500 square inches of cooking surface, the Amerigo™ has the space to cook plenty of pizza for the largest parties and families, plus the flexibility to handle other any style of cooking you can imagine. Cooking Surface Area: 1512 sq. in.